It is necessary that you feel comfortable when you talk about money because you truly have been Born Rich. You have all the mental tools necessary to attract the thoughts you are surrounded by, to create the consciousness that you must create in order for you to have the wealth you choose to have. Lack and limitation can only exist when we make room for them in our mind. But prosperity consciousness knows no lack and no limitation. Throughout your entire Real Wealth Revolution, your attention is directed at the importance of your mind. The type of thoughts and ideas which occupy your consciousness is of paramount importance in developing prosperity in your life. Before you become emerged in your Real Wealth Revolution program, form the attitude that this program has been prepared especially for you. 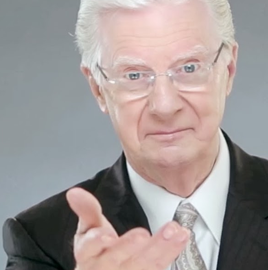 Imagine that Bob Proctor is a dear, personal friend whom you have chosen as your mentor. Make a commitment to yourself that you will follow every instruction necessary to alter your old conditioned behavior.